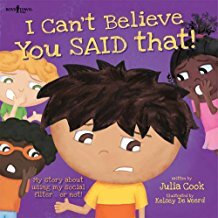 I think the book, I Can’t Believe You SAID That! 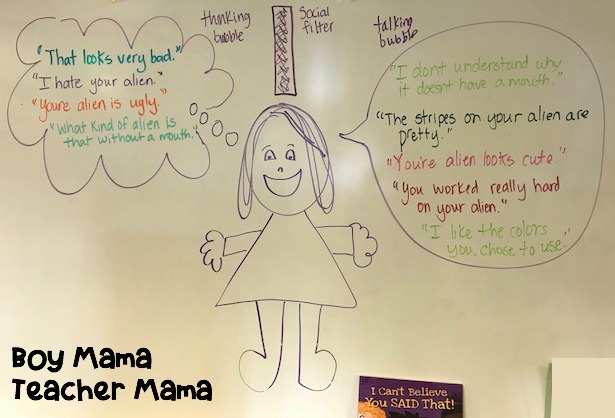 A Story about Using My Social Filter by Julia Cook, is one of the very best books written to help children with social skills. In this book, Cook discusses the importance of thinking before speaking. We have read this book 3 times this school year alone and I know other teachers and our school counselor has read it as well. 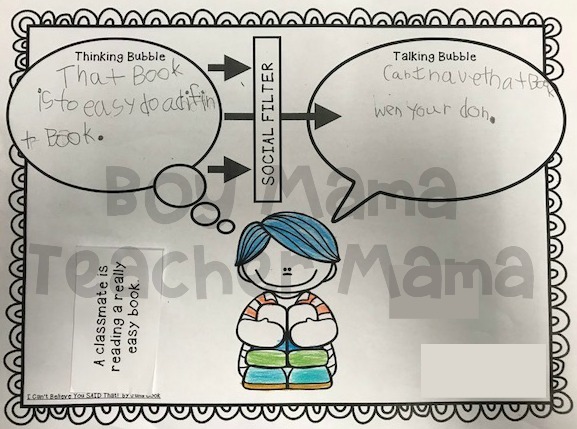 The book clearly explains exactly what a “social filter” is and how and when to use our “thinking bubble” and our “talking bubble.” In class, these words have become part of our everyday language. 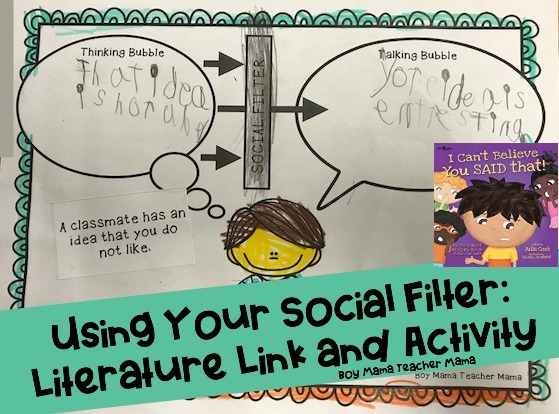 We can simply stop and “Use your social filter! 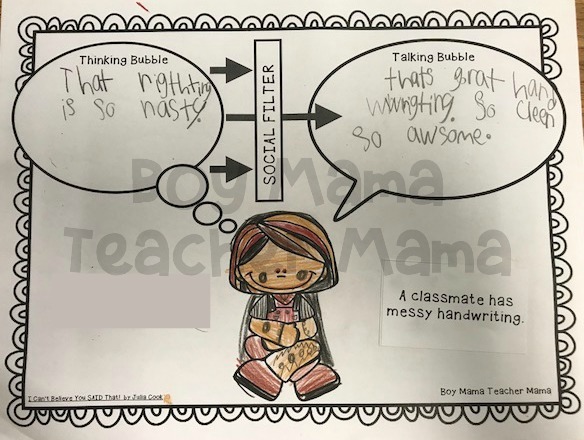 Does that stay in your thinking bubble or can it move to your talking bubble?” and the kids know exactly what it means. 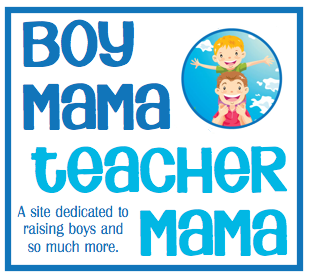 This year, I took it a step further and created this activity to help further their understanding even more. After reading and discussing the book, I presented the whole class with a scenario. We had just finished creating our aliens in underwear and I told them that they DID NOT like the alien I made. 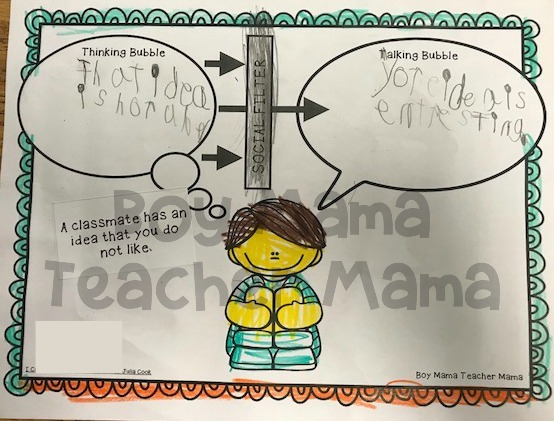 I drew this picture on the board with a “thinking bubble” and a “talking bubble” and, as a class, we brainstormed things that belonged in each bubble. We used this image throughout the day to work through other scenarios as well. Here are some examples from my students. Scenario: A classmate is reading a really easy book (in your opinion). Scenario: A classmate has an idea you do not like.